Below the radar, Poland has also launched a manoeuvre that may block the EU’s winter package in its entirety – particularly a planned limit on power plant emissions – if it is signed up to by a third of EU parliaments, or 10-13 states. The EU’s various wings will eventually thrash out a compromise between the commission’s original proposal – which was calibrated to meet the Paris pledge – and the counter-proposals designed to weaken this. We cannot allow backward-looking east EU states to destroy the EU’s credibility on the Paris agreement,” said Claude Turmes, the European parliament’s lead negotiator on climate governance. “A successful and ambitious energy transition is one of the few remaining positive stories for Europe. If we allow that to be drained by vested old interests from east Europe, our international credibility – and the last remaining trust of our citizens – will be smashed,” said Turmes. The EU leadership also met with Chinese prime minister Li Keqiang. Climate change was a top agenda item at the meeting. A Sino-European coalition on climate action has been mooted as a possible bulwark against the reversal in the US. The measures proposed by the east EU rebels are highly technical but their potential to diminish carbon savings is clear. Existing loopholes in the EU’s energy efficiency law already cut the real 1.5% annual energy saving law to around 0.75%. 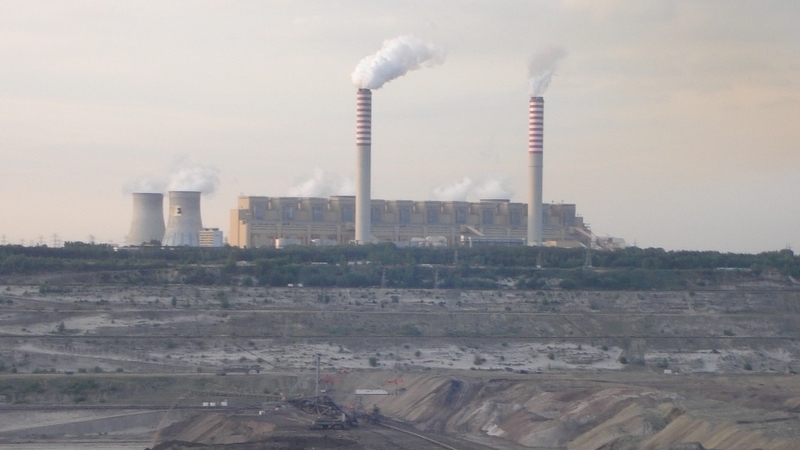 But the Czech proposal, seen by Climate Home and largely accepted by the Maltese EU presidency, would slice off an estimated 0.4% in real savings by trimming the target itself and introducing loopholes. These include a cut to firms’ energy saving obligations, a stretching of the deadlines by which they must be met, and a double-counting of solar and wind investments towards both renewables and efficiency targets. Buildings milestones planned for 2030 and 2040 have been edited out of a separate draft energy performance in buildings law after lobbying by Visegrad states. Documents released by Greenpeace Energydesk on Sunday show the UK government has also been lobbying to weaken the energy efficiency target, despite its intention to leave the EU. Poland’s far right government has been mired in sniping with the European commission since taking power in 2016. This year, it has already threatened to take the EU to court over its climate laws – and won concessions on its plans for subsidies to keep coal plants running when there is no demand. Coal is seen as the “foundation” of Poland’s development by the ruling Law and Justice party, despite the thousands of Poles it sends to an early grave each year, and the unparalleled dangers it poses to the climate. The EU’s preferred method of squeezing big emitters is carbon trading but here too, a Polish proposal taken up by the European parliament’s majority right wing blocks would drain the EU’s proposal of meaning. A Polish memorandum, which Climate Home has obtained, proposes carrying over a glut of 907m worthless “hot air” carbon credits into the next market phase, depressing prices and reducing incentives to scale back CO2 emissions. But Poland views its gambit as a “reward” for early compliance with past climate obligations, which were largely met by closing down Soviet-era industries. While Poland’s idea might allow the EU to meet its Paris obligations on paper, it would also open the door to surplus credits covering 550 million tonnes of carbon equivalent (Mtoe), according to a commission analysis obtained by Climate Home. The same working paper says that a separate “early counting” proposal by Bulgaria, Romania, Latvia and Lithuania would increase the carbon allowance surplus by 690 Mtoe – triple the four countries’ combined 2014 emissions. Poland also wants a huge increase in forestry offsets that would allow it to continue its coal-first energy model so long as it plants more trees. Wish , this info would be disseminated broader!